The most renowned and celebrated exhibit of the Napier Museum is the sword of one of the first martyrs of the Indian freedom struggle, Veluthampi Dalawa. He was born in the village of Kalkulam at Thalakulam and was the Dhalawa (Prime minister) of the erstwhile Kingdom of Travancore from 1802 to 1809 during the reign of Maharaja Bala Rama Varma Kulasekhara Perumal. The sword was presented to the then Raja of Kilimaanoor Palace, during his military expedition to Mannadi. Later it was handed over to the first President of India, Dr. Rajendra Prasad in August 1957. 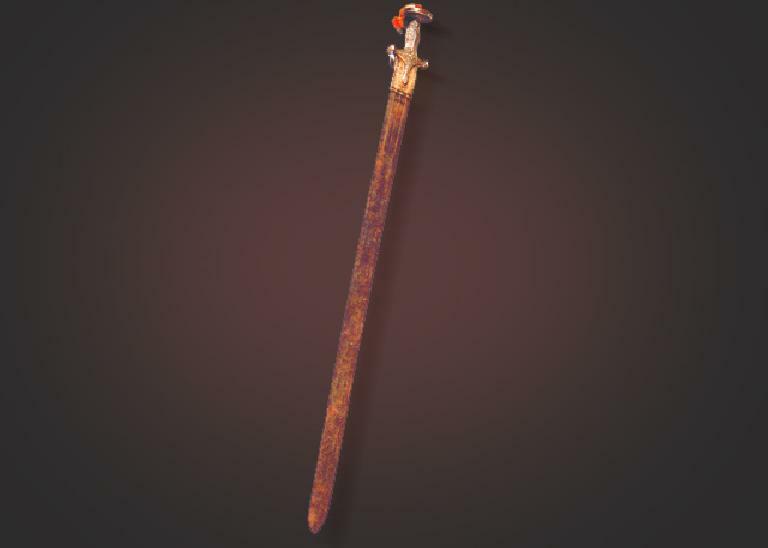 The Sword was kept in the National Museum, New Delhi until it was handed over to the Government of Kerala on 20th June 2010 and is presently displayed in the central hall of the Napier Museum.